House Speaker Paul Ryan and Rep. David Young take tour of i2-tech. U.S. House Speaker Paul Ryan has campaigned this week with two of the three Iowa Republican congressmen seeking reelection this year. 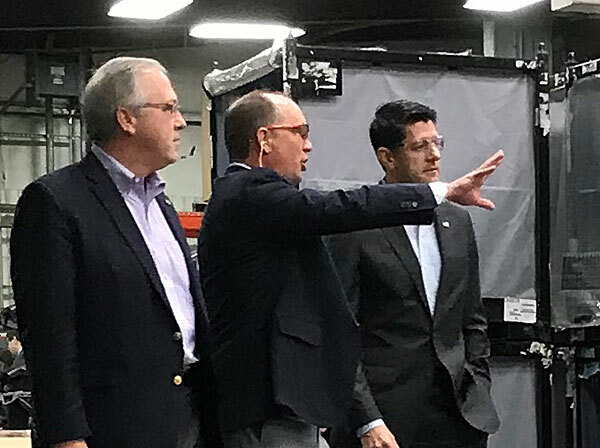 Ryan toured a West Des Moines plant with Republican Congressman David Young this morning, then spoke briefly to plant employees in their break room. The company — i2-tech — melts plastic pellets into parts that other manufacturers use to make things like John Deere tractors or Kawasaki motorcycles. 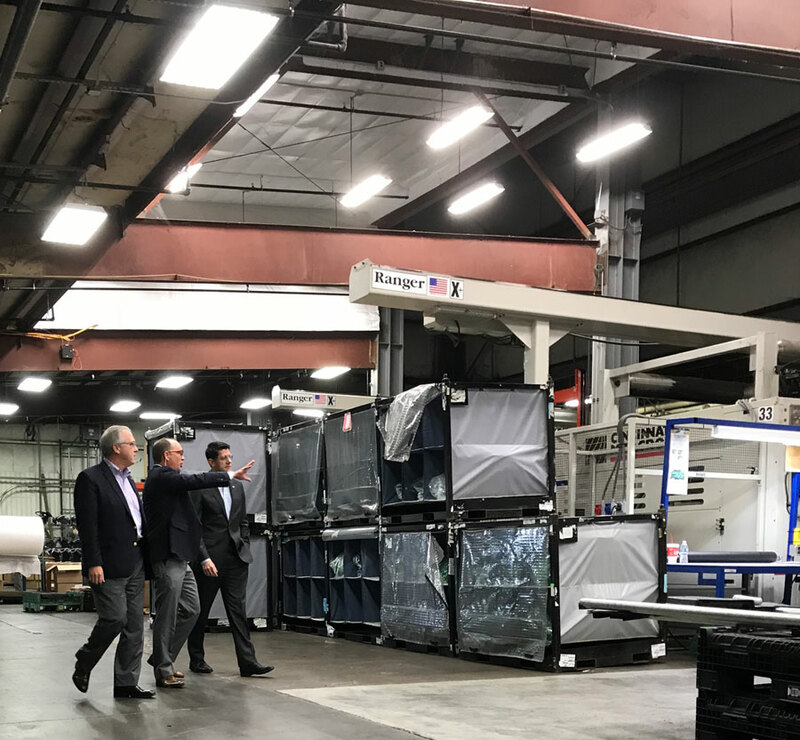 Young said new expensing rules in the federal tax code “provided certainty” and prompted the company to buy new equipment. The House speaker did a private event yesterday with Iowa’s first district congressman, Republican Rod Blum. This morning, Ryan delivered this argument for reelecting Iowa’s third district congressman. Reporters were allowed to observe the tour the two politicians took of the facility and listen to Ryan and Young speak to employees, but questions from the media were not permitted. Later, Ryan did interviews with two Des Moines TV stations. Late this morning, Cindy Axne, the Democrat who’s challenging Young’s bid for a third term in the U.S. House, is releasing a list of campaign finance reforms she’d vote for in congress.